Western conifer seed bug (Leptoglossus occidentalis) on a log. 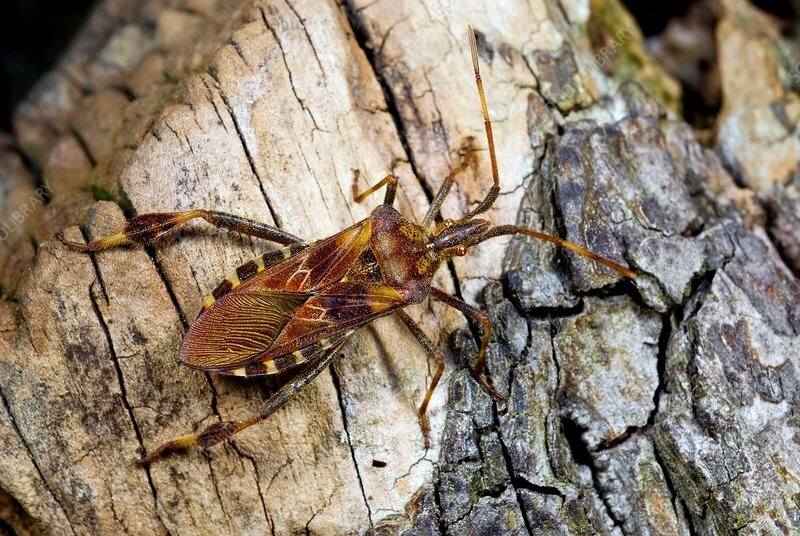 This insect was originally native the western USA (California, Oregon and Nevada) but has recently expanded its range and become an invasive species in parts of Europe. Photographed in Wroclaw, Poland.